Events at The Met — The Metropolitan. Every Thursday from 4PM to late The Met has $1 Oysters and $5 glasses of bubbles. No reservation needed! Just come and bring your friends. Every Wine Wednesday our bottles are 1/2 priced! Bring your friends in and share a bottle, or two. Our Private Dining Room will look a little different on Sunday nights for a while! We are hosting a great local Paint Night company every Sunday! Come enjoy some wine and learn from an experienced instructor how to paint canvas art. You can check out the canvas line-up & buy tickets by following the link below! Our main restruant will still be open for dinner and drinks - feel free to walk in or make a reservation! 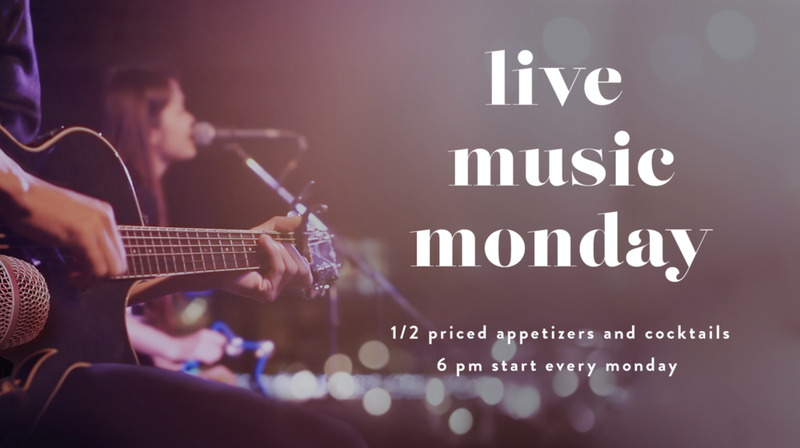 Every Monday at 6pm we will be hosting live music every Monday! Each night it will be a different local artist from YYC and we will have 1/2 priced appetizers and cocktails on all night long! Be sure to come early for Happy Hour! Every second Tuesday we have partnered up with Plant Nite to bring you a night filled with everything you need to create your own terrarium! No experience is necessary and having a green thumb is not required.